Forty years ago, on August 2, 1972, commercial use of virtualization became a reality with the IBM announcement of VM/370. Virtualization has transformed the way we think about the underlying technology by providing flexible dynamic server resources that help businesses run faster and respond to customer needs more efficiently. z/VM is built on design points that have stood the test of time and remain essential to our customers today. Share everything - z/VM's strength is its ability to share a limited set of resources across many guest operating environments. Examples include CPU, memory, I/O adapters, control units, disk devices, cryptographic cards and network cards. See how Endress+Hauser maximizes availability and resiliency in a z/VM environment with Linux. Highest levels of utilization - z/VM can achieve nearly 100% utilization of resources nearly 100% of the time. Run multiple diverse mixed workloads with isolation - z/VM is designed to run multiple workloads concurrently in a shared environment. It supports Linux on System z, z/OS, z/VSE, z/TPF and z/VM itself. Within each of these environments diverse mixed workloads can be run. In addition, production workloads can run on the same System z server as development, test, and quality assurance workloads. See how Embasa runs a diverse workload to improve SAP data flows. Flexible workload balancing - Move Linux virtual servers to available resources in addition to the long-standing capability to non-disruptively add resources such as CPU, I/O, networking and memory. Live Guest Relocation provides the ability to move virtual servers to another LPAR on the same or on a different System z without disruption to the business. See how a healthcare company provisions hundreds of virtual servers in an automated environment. Multi-system virtualization - Up to four z/VM instances can be clustered, serviced, and administered as one in a Single System Image. Highest server consolidation ratio in the industry - z/VM supports more Linux virtual servers than any other platform in a single footprint. See how EFiS EDI Finance Service AG used z/VM to successfully consolidate their IT environment and significantly improve performance levels. Today's z/VM helps businesses simplify their infrastructure and lower IT costs. z/VM is based on a 40-year-old technological breakthrough which remains as critical today as ever. It continues to help reduce sprawling IT and provide flexibility to meet customer demands with the underpinnings of the security, availability, scalability, and manageability of System z. 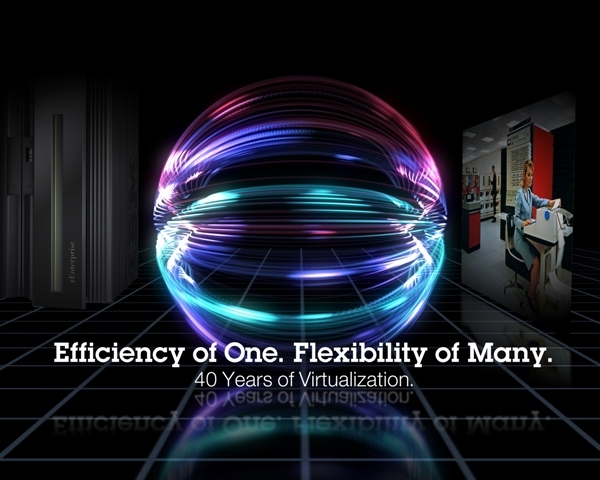 Brief Review of VM's 40 Year History: Decade by decade, find out how VM has evolved over the last 40 years. Bill Bitner's Blog: Bill Bitner, IBM z/VM Senior Software Engineer, has a blog reflecting on the past 40 years of VM. VM and the VM Community: Past, Present, and Future: Melinda Varian, retired staff at Princeton University, authored this captivating paper, last revised in 1997.